We are all inspired by various things and sometimes we look to the past for inspiration. As for me, I'm quite smitten with the 50s. (If you see my Tumblr, you can definitely spot many images that are from the 50s or that are reminiscent of the decade.) For me, everything about the 50s is so glamorous, sophisticated, and absolutely wonderful. The grace and beauty of this era is just so striking. I do get inspired by other decades as well like the 60s and the 20s, but the 50s is where my heart glows. Anything from this decade can instantly start a spark of imagination and gives the dose I need if I'm ever stuck in a rut. Some of my favorite movies are from the 50s (which I highly recommend!). A Star is Born is a classic film that has been remade many times, and yes I've seen them all - but my favorite was the 1954 flick, starring Judy Garland. I guess the musicality of it also attracted me since well, you all know how much I love music. 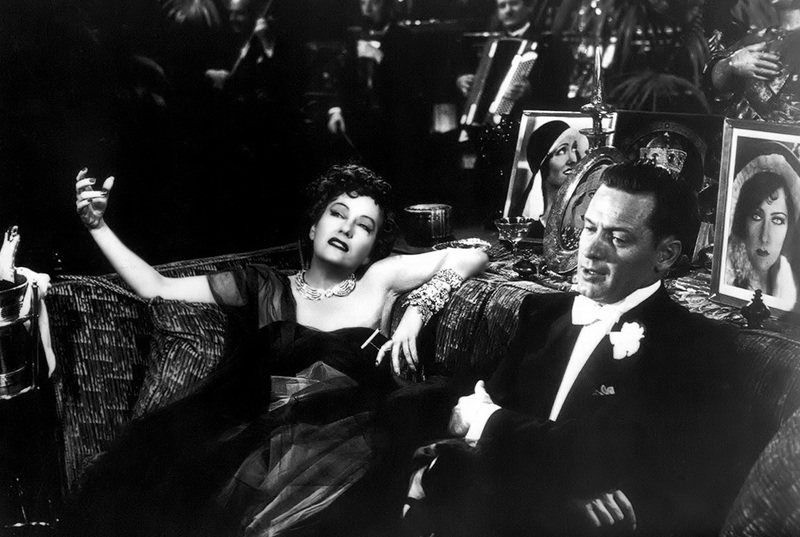 Sunset Boulevard (1950) is another favorite classic. Both movies show you a provocative look behind the celebrity "Hollywood star" world and the disturbing realities of fame & how much it can affect someone. Sigh, sometimes the lust for fame & fortune can be a terrible thing. Woody Allen even states in an interview: "And one of the fallacies that comes up all the time is the Golden Age fallacy, that you’d have been happier at a different time. Just as people think, “If I moved to Paris I’d be happier” or “If I moved to London…” Then they do, and they’re not. Even though these places are great, they’re not happier, because it isn’t the geography that’s eating them up, it’s the existential reality of how grim a predicament we’re in. So, I’ve played around with that before, the notion of wanting to get out of the real world, get out of time." He somewhat has a point & I haven't thought of it like that before, yet I don't fully agree. Of course we all go through those moments when we want to escape our own realities, though surely we know we'd want to return to our familiar lives once again. I know, personally, that I won't be happy being sent back to the 1950s, and actually living in that time. From where I am now, I'm content just to simply look back & admire the 50s, and incorporate my inspiration into my present life. What decade best inspires you? & what do you think of Woody Allen's concept? I LOVE Audrey Hepburn's movies from the 50s! Such a great era in Hollywood. the past is always oh-so classy in black and white photos! cool blog i like it! Oh, Audrey Hepburn. I would like to believe that we would be friends if we could ever meet in person, but I'm really not sure -- I'm a much meaner person than she is. :) Hahahahahaha. What a great selection of photos! Love Audrey's, she always looks so fresh and inocent. The fifties are such an inspiring decade, and Audrey is quite the icon! I suppose I understand Woody's concept of geography, because I've always though I'd be happier somewhere else. The women in the pics are so Fab & glam..I love the 50's because of Audrey Hepburn her style is amazing but I wouldn't want to live in that decade! Oh Judy Garland. She was my favorite, with such an incredible voice & amazing stage presence. I love the 50`s too. Your tumblr is so interesting - i just keep flipping pages. I actually haven`t heard of this film, but i`ll watch it tonight. Sounds very interesting, meaningful. Best of luck to you with the challenge, do let us know about the results when you`ll find out! I sooooo want to see this movie! But my hubby doesn't like woody allen! i LOVE LOVE LOVE audrey! she is WAY inspiring!! Love the 50s. Though my personal favourite is the 60s. One of my favourite moves is Jean-Luc Godards A woman is a woman, because Anna Karina is so stylish in it! Awwww, I love Audrey and this post! She is such a classic beauty! Love this post. I love the 50's. After the 20's it's my second favourite decade. Everything was so lovely. But I love the 20s because it was such a break-through era. Beautiful photos! I love the fifties - the sillhouttes/glamour/black+white photos. But my main inspiration would be across between the 20's + flappers and grunge in the 90's - a slightly strange combination but they both influence me/my style / my taste massively! I love this post purely for the fact that I love the old era of movies, especially the black & white goods and musicals! I haven't seen this movie yet, but I also want to see The Artist, which is supposed to scoop up a few gongs this year. What a wonderful era! I truly admire in anything done by Judy Garland!! Completely agree, love the era, so much glamour, class!! Midnight in Paris is one of my personal inspiration list! All retro films are so charming and put in special mood! I hope your days have been lovely! I LOVE the movie a Star is Born...such a sad ending but Judy Garland gave an amazing performance! My favorite decade is probably the 40s. I love Audrey, she;s sooo pretty!! Midnight in Paris is a great movie; will definitely want to watch it again; Marion Cotillard is absolutely stunning! Woody Allen's words are... Just... They make you stop and think, didn't they? We all do that... At some point of our life or another; "I want to go to Paris," "How I wish I could be there now, etc" but we never really think about our present circumstance that causes us to think that way; one never do, really. i adore that woody allen movie! Aww I love this post! Judy Garland was just stunning as was Audrey Hepburn. Paris is one of my favourite cities, I just love old movies and stories about it. Give me the 40's and 50's for sure! the 50s were a very glamourous time! The 50s are such a great and rich decade to pull inspiration from. The simplicity and elegance of Audrey's inspires my style. My favorite decade to look back on is the 50s. There were so many amzing individuals make style statements, from Hollywood sirens to rugged actors. The 50's were a time when thens were so much classier and more modest. Thanks for the movie recommendations, I must try to locate them. Audrey is the epitome of elegance. I am dying to watch Midnight in Paris, Woody Allen is my favourite director. What a beautiful time and I love that era too! I am so drwan to the 20s era. That's why I feel like I am been tele transported each time I watch a movie from that era. Feels good. The hubs and I were thinking about watching Midnight in Paris the other night...You've sold me! Now I want to see that move! 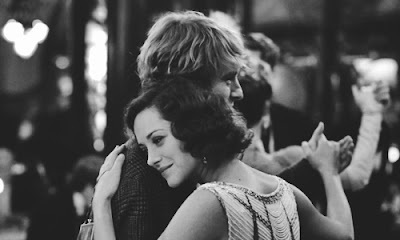 i absolutely loved midnight in paris, marion cottillard is amazing isn't she? i'd say one of my favorite eras would have to be the 20's!! Oh yes, Audrey Hepburn is truly an iconic and legendary woman of her time. Her natural beauty along with her grace and elegance is almost unimaginable and hard to find in the fashion industry nowadays. I loved midnight in Paris and as expected from woody Allen, it was out of the ordinary in a good way and very captures your attention. I completely agree with you, I'm happy living in my time whilst being able to look to the past for inspiration and admiration. I really liked your post! Especially the part about Woody Allen's concept. I never thought about things like that! I love and am inspired by the 50s, 60s and 70s, but I'm sure that if I actually moved to that time, I wouldn't be any happier than I was now because there's always good things and bad things happening anytime in history. Great post, thanks for sharing!